What content should I put on my website? Where should the content be strategically positioned for maximum benefit? I am asked these questions all the time when working with my clients on their website content. In today’s blog, we are going to focus what type of content should be included in your site and just as important where in the site should the content be placed. 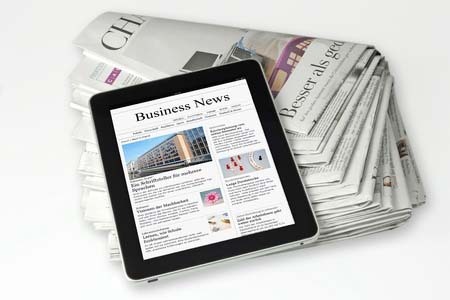 You may have heard the term “above the fold”, it is a term from the newspaper industry, and yes printed newspapers still do exist, the day’s headline and important news would be near the top of the page so readers would see it first. Same is true for web design, the content visitors see when the page loads is considered above the fold and the content you see once you scroll down the page is considered below the fold. Content above the fold on a website has considerable more interaction then content below the fold. When a visitor clicks into your site they decide in a manner of seconds if they are staying or moving on to the next site in their Google search. In order to keep them on your site you must present the key content on the top of the page. You may be the best in your industry but if your key content is on the bottom of your page no one is going to know it. Key content will be different for each website but generally will include text, images, videos, and navigation. It is key this information be above the fold so when the page loads the key information is clear to the visitor of the site. Depending on your industry you may want your telephone number or social media links above the fold. In addition to key content your branding must be above the fold. Items such as logo, corporate colors, taglines and mission statements must be visible to the visitor when the page loads. Global Internet Technologies has been designing websites for over a decade and will be your partner in navigation the rough but profitable waves of the internet.